Learn about the hunt for John Wilkes Booth, follow Lincoln’s funeral train and witness a nation in mourning. The Aftermath Exhibits take you to a Washington street the morning after Lincoln's assassination. 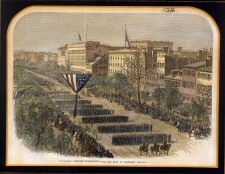 Follow Lincoln’s funeral train back to his hometown in Springfield, Illinois. In an interactive exhibit, learn about the crowds that gathered to mourn the president each time the train stopped. As Lincoln’s body traveled back to Illinois, authorities hunted for John Wilkes Booth. 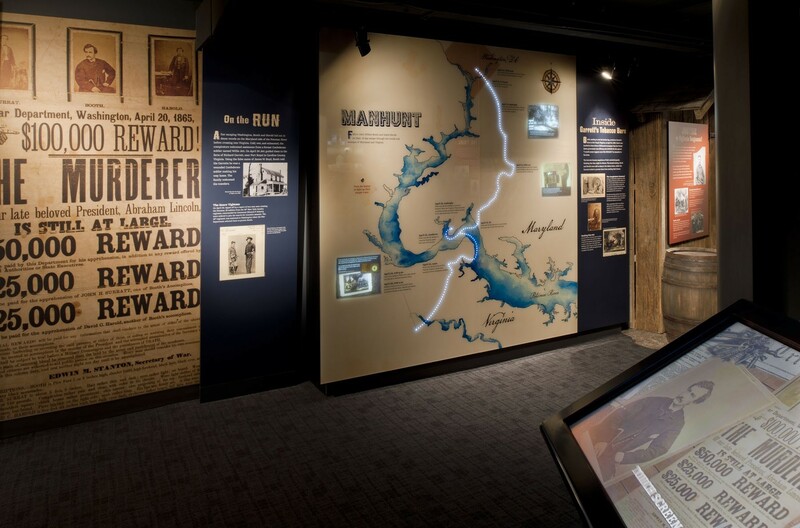 In our exhibits, follow the 12-day manhunt for Booth and learn about his capture in Virginia. Learn about the trial and fate of Booth’s co-conspirators. 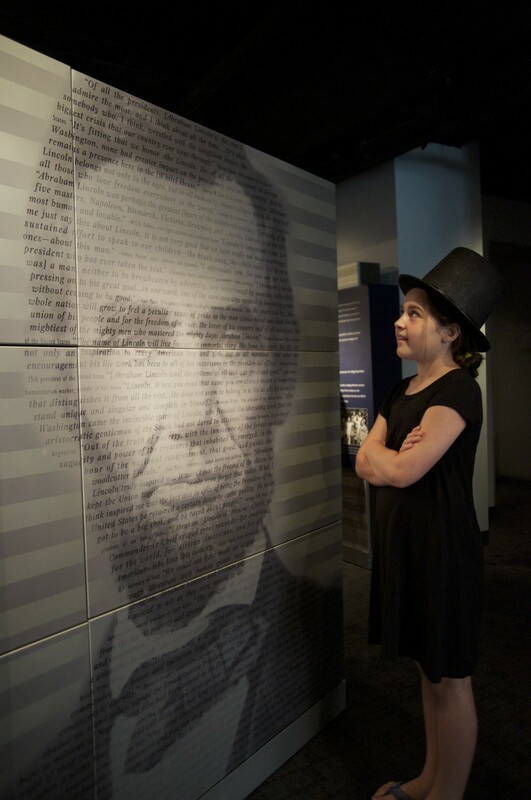 Our exhibits also explore the impact of Lincoln's life and death on America and across the world. See how he has inspired leaders and view artifacts that show his evolution into a pop culture icon. A visit takes ~30 minutes. Exhibits are located on three floors, accessible by stairs or elevator. 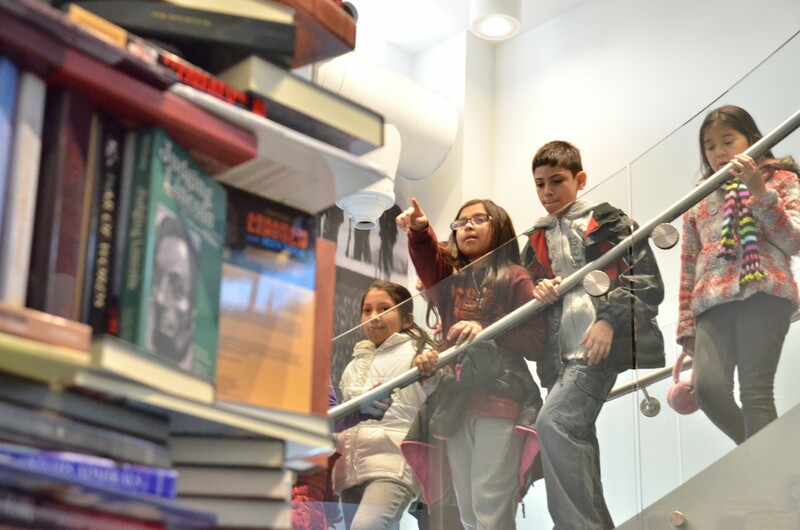 See our 34-foot tower of books written about Lincoln. Exhibits are included in a Historic Site ticket. 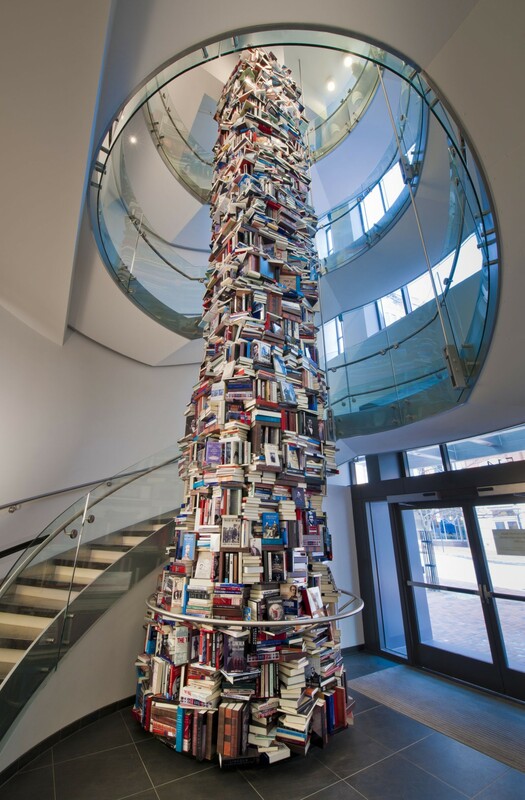 Our 34-foot art installation book tower including over 15,000 books written about Abraham Lincoln. Follow the path John Wilkes Booth took on his 12-day escape and the barn where he was shot by Boston Corbett. Photo © Maxwell MacKenzie. 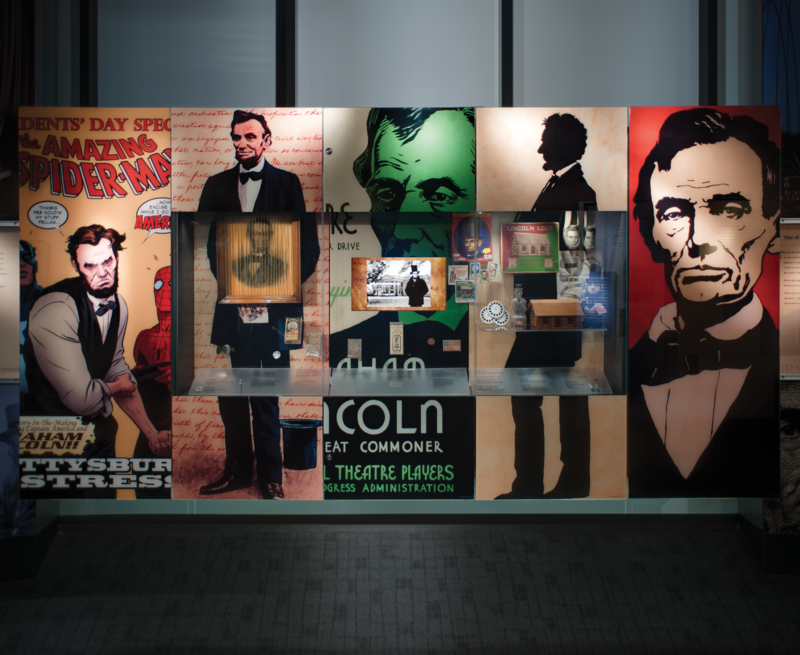 View pop culture references to Abraham Lincoln and discover how his Legacy is remembered. Photo © Maxwell MacKenzie. View our staggering 34-foot book tower. 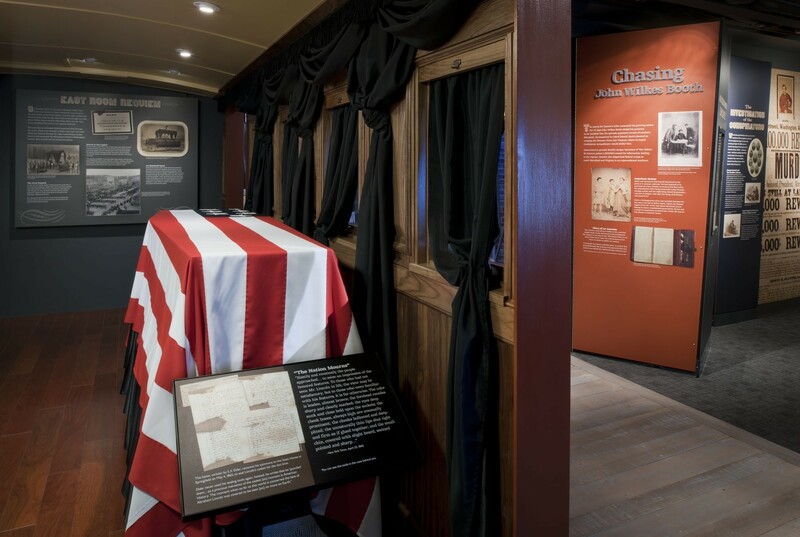 Lincoln's funeral train exhibit. Photo © Maxwell MacKenzie.